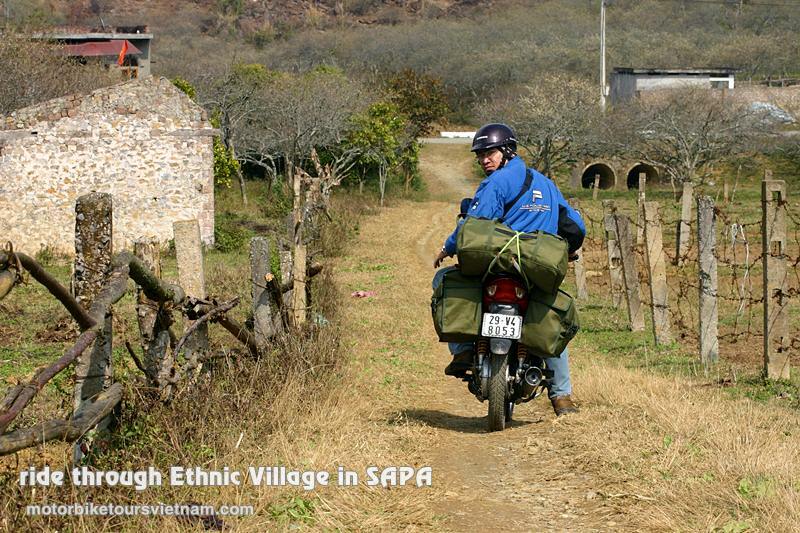 Visiting the Mong ethnic villages nestled on halfway up the mountain. Bathing in natural hot spring after full day Offroad trip. Leaving Hanoi on dyke roads to avoid the heavy traffic, goup will ride on Thang Long Avenue; the new road was opened a few years ago. Along this path will lead us to the legendary Highway 6. 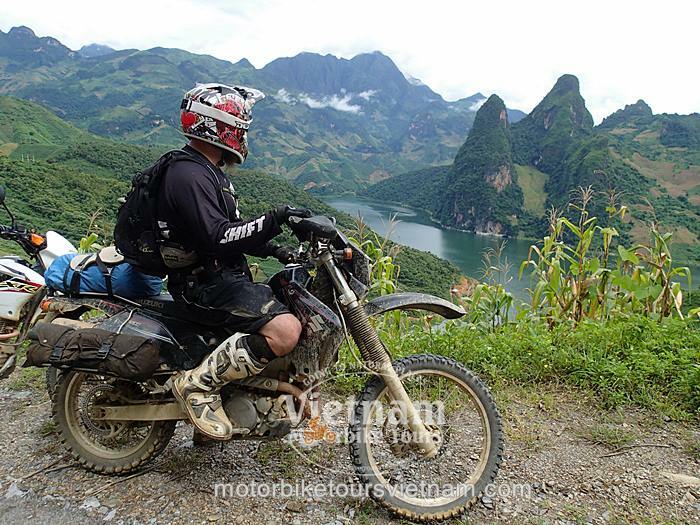 After pass the Hoa Binh city and two passes, we have been Mai Chau valley. Mai Chau is a tourist attractions area has developed over the years, here you can learn about the life and culture of the Thai people. Group has lunch on the floor of Thai people. At afternoon, with a short walking around the Lac village to find out the unique architecture of traditional stilt houses. 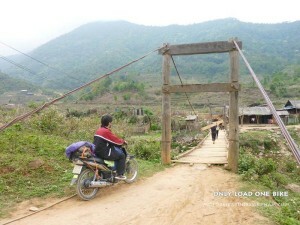 And then continue riding to Moc Chau (~ 50km). To Moc Chau about 18:00pm, sleeping in Moc Chau. 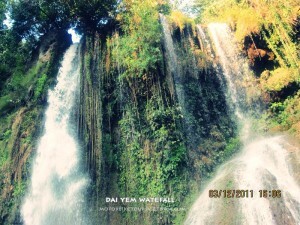 Dai Yem Waterfall is a beautiful waterfall in Moc Chau, at the foot of waterfall you can see the iridescent silk silver, and it was made from cool streams flowing from the high mountains of Moc Chau plateau. The waterfall is about 35km from hotel. Lunch in Moc Chau enjoy the special dishes of the place: meat calves (baby), grilled fish streams. Afternoon depart for Son La, visiting hot springs resort near the Son La. Here you can relax, rest, bath with hot spring and dinner at the restaurant. Overnight in Son La city. This is the 3rd day special. Beautiful and difficult paths are waiting for you to conquer. After breakfast, depart straight to Muong La district. This is a poor district in Son La province, you will be visiting a hydroelectric station on the Da River, seeing the Da River winding through the foothills, that one can be surprised. The group will have lunch on the way; choose a roadside stream to stop. Sit together, eat lunch and feel the quiet of the forest mountains. Continue on, past the old dirt roads, the suspension bridge load only one motorcycle running; we will go through the valley and the village of Mong people. 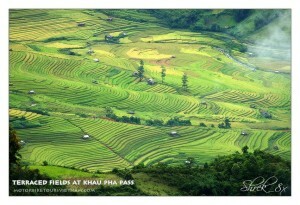 When to Khau Pha Pass (one of the most beautiful passes in Vietnam), we will stop here, admire the fascinating natural scenery. 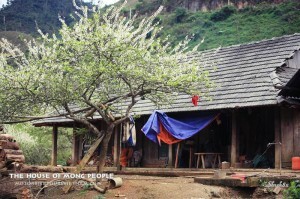 At the foot of the pass is a wide valley with the house’roofs of Mong People. Sleep in Nghia Lo district. With a distance of 260km on road would be easy to return. We will return to Hanoi in about 17:00PM. End of trip.